Solano + Profettes and their new debut single “Like This” out today on Monday 29th February from their forthcoming debut EP, out on 15th April 2016. ‘Solano + Profettes’ is a five-piece group from three Finnish cities: Helsinki, Tampere and Seinäjoki. Solano is a minuscule part of a Finnish town, said to be “the Milano of Seinäjoki”. The core of the group actually grew up there and Samuli Kukkola, Janiv Oskár, Jokke Olavi have their roots in italo and techno. 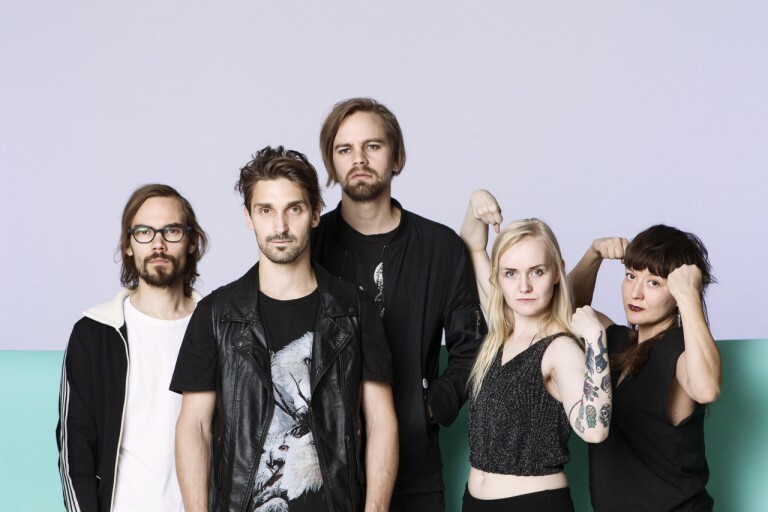 The guys added a couple of sequin covered all-stars /songbirds, namely Minna Sihvonen and Ringa Manner, who, if put together have been involved in some 20 Finnish bands over the years, and so the music evolved into synth pop. ‘Like this’ is the first track to be released from an upcoming self-titled EP, out on April 2016. The EP (Release date 15.4. by Solina Records) showcases characterful songwriting, with a strong sense of vocal harmonies. Monotonic beat loops, echoing layers of synthesizers and four talented singers make the music dark but susceptible pop with a light and airy avantgarde grip.